Cheapest combined ticket on the Net! The Tower of London is home to the world famous Crown Jewels, a must see collection of priceless items worn by Kings and Queens from throughout history, many of which are still used today during official state ceremonies. Situated on the banks of the River Thames, this majestic castle dates back to 1066 and as such provides an incredible insight into Britain's past which is told through an array of treasured exhibits and intriguing stories originating from within the castle’s ancient battlements. You'll hear tales rife with conspiracies and murderous plots on the Yeoman Warder Tour and will also have the chance to see the lavish living quarters of some of the most notorious English monarchs to have resided inside this World Heritage building. While the Tower of London represents London's often brutal past, the Coca Cola London Eye has become a symbol of the cities bright, modern future. Its stunning architecture provides the perfect platform from which to see the capital in all its glory, with unrivalled 360 degree views stretching for over forty miles. 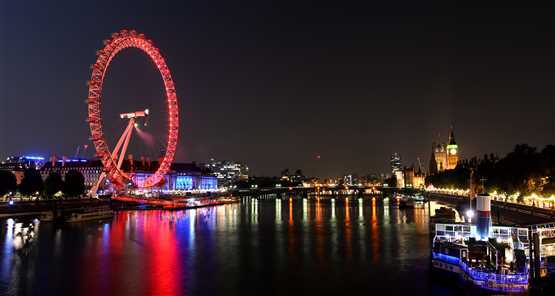 Book a ride today on Europe's largest Ferris wheel and you'll also receive access to its amazing 4D experience, completely free – London Eye Deals you can’t miss! From Fenchurch Street: Exit on to Mark Lane. Turn left on to Byward Street, which will lead you to Tower Hill and the Tower of London. From London Bridge: Cross the bridge over the River Thames and turn right on to Lower Thames Street. After a 15-minute walk the Tower is located on your right. The Tower is also served by all major sightseeing bus tours. Nearest river access: Tower Pier. Riverboats for Tower Pier depart from Charing Cross, Westminster and Greenwich. Please note there is no parking at the Tower of London. The nearest coach and car park is situated on Lower Thames Street and is a 2 minute walk to the main entrance. The car park has both lift and stairs. Pedestrian walkways are clearly marked and show the direction of exit to the Tower of London and pay machines. Was shocked to find a deal this great! Total package is worth less than the day of ticket price of the London Eye so I highly recommend. Easy process to get tickets - definitely look out for this deal! Brilliant and easy to use, printed off the ticket before I left, showed it at the ticket office, tickets were printed and given to me. Would recommend using this site, really easy. Voucher emailed very quickly. Easy to collect tickets when in London. Can not fault it. Was lucky to find out this cheapest deal before going to London. Luckily there was no lineup for both attractions. Definitely will check out this web before going for any attractions in the future. Easy to exchange vouchers for tickets, throughly enjoyed both experiences. Lots of information and sights in the tower with Beefeaters around if needed who are happy to help. Their tour can be followed or walk yourselves. Longest queue was London eye just to collect tickets this could have been shorter as only three desks working. Queue to get on attraction under half a hr. It was really fun to pass by the lanes and enter the London Eye within a very short time! This was my first visit to London and gaining entry to the Tower & London eye couldn't have been easier with this package. It was hassle free and is a great package at an affordable price. I'll be using Discount London again soon! Thank you! Rushed through london tower to just see the crown jewels.spectacular! london eye at sunset with no waiting ...gorgeous! You will have the option to upgrade to Fast Track entry on the London Eye when you select your chosen date. Please note that fast track entry for the Tower of London means that you can enter through the pre-paid desk so will not need to queue at the standard ticket entry desk. However, there may still be some queuing involved once you have collected your tickets depending on how busy the attraction is. There may also be queues at the individual exhibitions within the attraction. Such an amazing experience for both adults and children. Tickets were easy and quick to collect. The queue length looks quite daunting esp when you know you're queuing with children but it actually moves quite quickly. I loved how the security guards made the "checking" into a joke with my youngest who was nervous about approaching them. The pods are spacious and we certainly didn't feel like sardines. The view? Well they are amazing - a memory myself and my family will hold for ever. Found a good deal in the site, it was easy and hassle free to use the vouchers at the counters. Had a great day in London made easier by purchasing in advance tickets from london discount. Easy to claim tickets on arrival. Next time would upgrade to fast track for the london eye. A great two days in London Tower visit was fantastic. Beefeater (Shady) tour was so entertaining and very, very informative. A truly wonderful experience. London eye was terrific too. The clear day provided perfect visibility - we loved it. Great package, easy to pick up tickets from Tower of London just went straight up to group ticket collection. Not so easy at London Eye as we had to queue for ages in normal queue. On the whole very good value will definitely do this again but maybe both not on the same day! Everything went excellent. Easy booking, good explanation, fair praise, nice locations. In a one word - good service. Had an amzing day. Tickets were great value. Will definately use discount london again.